Michael O’Connell received a six-month sentence after his work was found to have posed a serious safety risk to the occupants of the house. 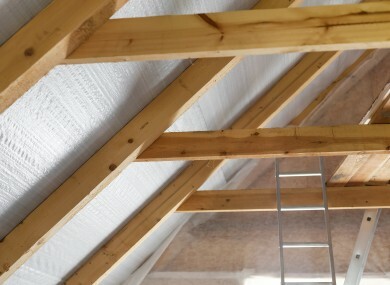 A WICKLOW MAN has been jailed for six months after illegally carrying out restricted electrical works while converting the attic of a family home. Michael O’Connell from Co Wicklow was sentenced to three months in prison for undertaking the work without the required licence and three months for falsely portraying himself as a registered electrical contractor. Sean Ward of the Commission for Energy Regulation (CER) watchdog told Naas District Court that the work was of poor quality and created a serious safety hazard for the occupants of the house, which included two adults and three young children. O’Connell was not a registered electrical contractor with the recognised safety supervisory body at the time, thereby committing an offence under the Electricity Regulation Act, 1999. Judge Desmond Zaidan imposed a six-month custodial sentence with no time suspended due to the severity of the risk posed to consumers. Dr Paul McGowan of the CER, which successfully brought the prosecution, said: “The fact that the court felt a custodial sentence was required reflects the seriousness of this case and the clear danger to human life it represented. “This sends a clear message to anybody engaging an individual or company to carry out electrical work in a house that they must be suitably qualified and a registered electrical contractor,” he said in a statement. McGowan said any member of the public can report an unregistered individual who has undertaken restricted electrical works on www.safeelectric.ie. Email “Wicklow man jailed for carrying out dangerous electrical work”. Feedback on “Wicklow man jailed for carrying out dangerous electrical work”.